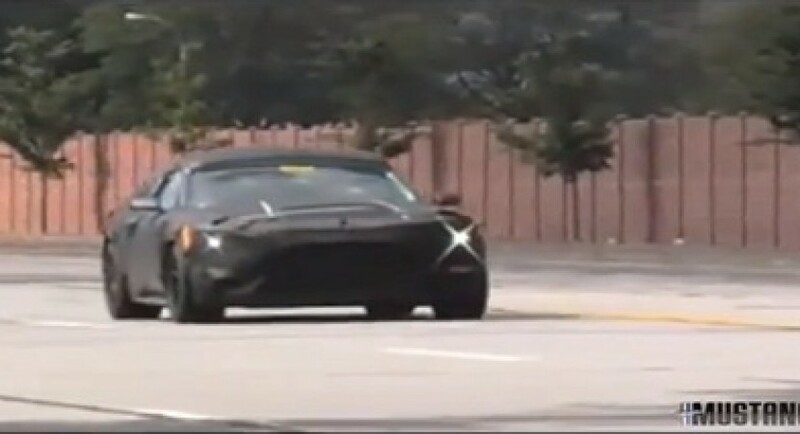 Generally, we are used to see spy photos with prototypes that are due to debut but this time, we got a spy video starring the new Ford Mustang GT350. The American muscle car is expected to debut in late 2015 and could replace the current Shelby GT500. Under the hood we should see a powerful 5.8-liter V6 powerplant producing 662 horsepower and 854Nm of torque. Another possibility is a smaller 5.0-liter V8 producing around 450 horsepower. In terms of styling, the new Ford Mustang will benefit from new bumpers, a hood scoop, new alloys and a quad-pipe exhaust system. For now, the model is heavily camouflaged which means that the debut is quite far away. Talking about a spy video, you will also get a closer look at the model as well as a sneak peak of the engine sound.